What Do Car Bras Do? Discover the best car bras for your car, truck or SUV. It’s no surprise that your ride’s front-end withstands a lot of abuse when you’re barrelling down the road. No matter how carefully you drive, your vehicle is still at risk for damages from bug splatters, kicked-up pebbles, road debris and more. 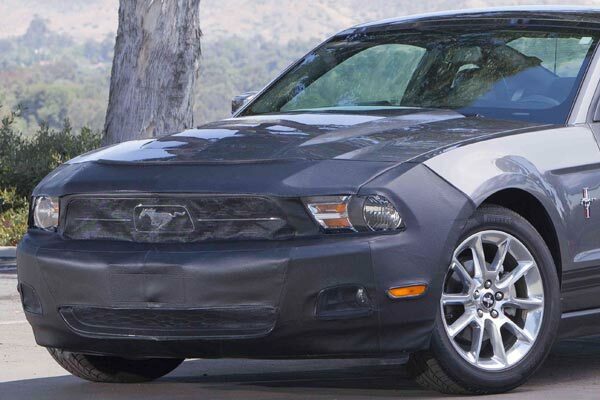 Without adequate protection, your exterior becomes more susceptible to paint chips and bent grille posts, resulting in your finish’s early demise and decreased vehicle resale value. Read on to discover the benefits of purchasing a car bra, as well as buying tips if you decide to invest in this handy accessory. What Are Car Bras Used for? Car bras are designed to save your ride from any road-borne hazards and prolong the life of your front-end. Many car bras are fashioned from a thick, durable vinyl material that provides a solid barrier against flying bugs and rocks, preventing unwanted dings, dents and scratches. Car bras frequently include a soft inner lining (often flannel) that doesn’t scratch your paint. In addition, many of the car bras available at AutoAnything are custom-designed specifically for your ride, so you can bet on a flawless fit. Though car bras’ primary purpose is bolstered protection, they’re also designed to give your ride a stylish boost. Whether you own a sports car, sedan, minivan or pick-up, you’re sure to find the perfect car bra to take your vehicle’s style to the next level. Whether you’re in the market for full front-end bras or color car bras to give your ride a customized look, AutoAnything has everything you need. 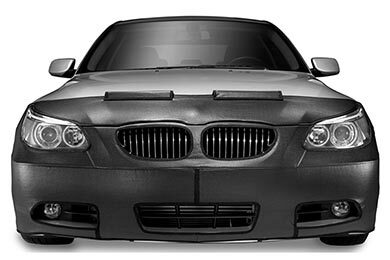 We even feature car bras in a variety of finishes—including black and carbon fiber—and you can even opt for factory color-matched options to complement your paintjob. When shopping for a car bra for your car, truck or SUV, we recommend sticking with the big-name brands. Though Colgan invented the car bra, there are many other reputable vendors you can choose from, including LeBra, Coverking, Covercraft, Speed Lingerie and more. Though car bras from these brands are all slightly different, they can easily be customized to fit your make and model perfectly. Reference # 752-908-379 © 2000-2019 AutoAnything, Inc.